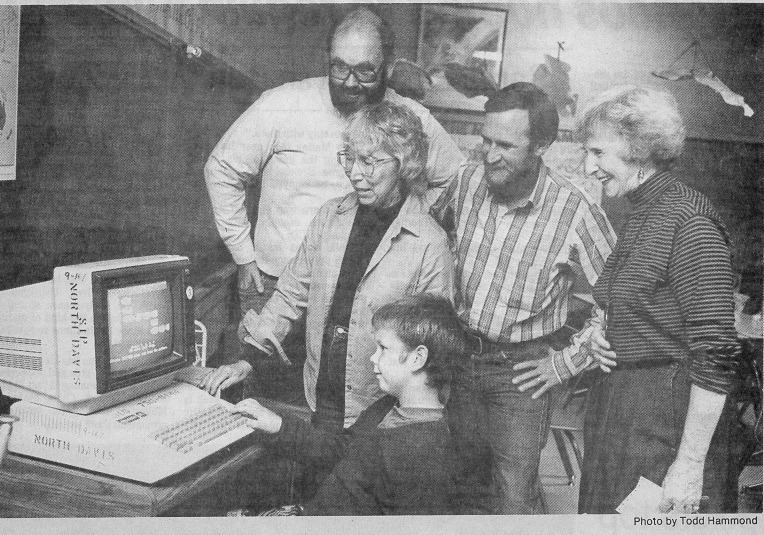 This photo, from the Davis Enterprise, circa 1986-ish?, shows me with my third grade teacher, my elementary school principal, my Dad, and an engineer from the University in the town I grew up in. I am absolutely a product of growing up in a University town, with involved parents, with schools that saw the future early and had the connections to figure it all out. The next generation of people that do what we do now are out there, and they have to be more representative of our world than our current community is. We all come from somewhere. There’s a spark in everyone’s life that makes a job a career. We can be the principal, the engineer, the parent, the teacher. Who are we preparing for what comes next? That’s what Carole Franti, Mary Ellen Dolcini, Adam Bridge and Charles Soderquist taught me, starting with that Apple ][. That’s why I give talks and teach workshops now.